Although the number of traffic crashes have declined in the last decade, the number of pedestrian fatalities have actually increased. Photo by Stephen Lee Davis. Transportation for America (TfA), a campaign to strengthen the nation’s transportation network, released an update to its “Dangerous by Design” report, an analysis of pedestrian safety in the design and use of American streets. Accompanying the report, TfA ranked the country’s largest metropolitan areas according to their relative risk to walkers and released a map of fatalities, separated by state. The statistics show Florida cities as rounding the top four most dangerous metropolitan areas for pedestrians. Orlando-Kissimmee, Tampa-St. Petersburg-Clearwater, Jacksonville and Miami-Fort Lauderdale-Pompano Beach metropolitan areas have the highest pedestrian danger index, a value computed using ten years of pedestrian fatality data and the newly-released Census walking data. The report asserts that pedestrian fatalities can be preventable with the allocation of appropriate resources, attention and implementation. For example, the report recommends retaining dedicated federal funding for the safety of people on foot or on bicycle. Currently the state department allocates 1.5 percent of its federal funds to projects that retrofit dangerous roads or create safe alternatives, the report explains. And although traffic crashes have dropped by 27 percent, in 15 of the country’s largest metro areas, pedestrian fatalities have actually increased. By entering your location on TfL's "Map of Fatalities," you can see nearby fatalities and find out details by clicking on the fatality markers. The report also acknowledges the inequitable distribution of pedestrian fatalities on vulnerable demographics. “Children, older adults, and racial and ethnic minorities are disproportionately represented in this figure, but people of all ages and all walks of life have been struck down in the simple act of walking,” the report explains. The report further investigates to find groups who are most likely to be killed, and what types of roads are most dangerous for pedestrians. According to the analysis, the top ten most dangerous metropolitan areas for pedestrians are in the South or West, the report explains. These areas have seen rapid growth in the recent decades of low-density development, characterized by high-speed urban roads that are dangerous for walking. “A national FHWA survey of how travelers feel about the nation’s transportation system affirms these results,” the report confirms. 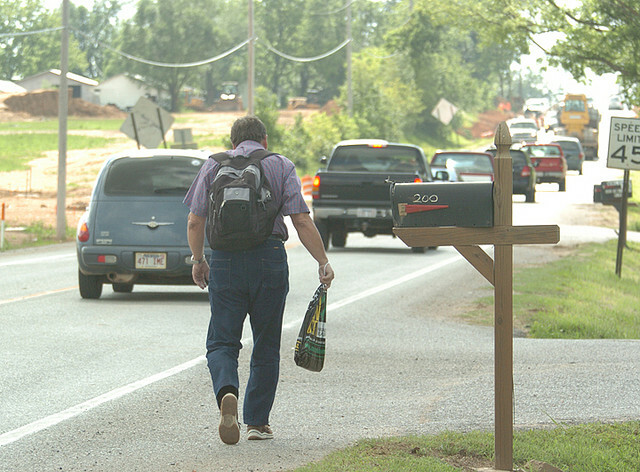 “Respondents in the South rank their pedestrian safety worse than their counterparts in the rest of the country. As a remedy, the report recommends future federal transportation spending bills to include provisions on devoting federal funding to safety; adopting a national complete streets policy; building complete network on sidewalks, bike paths and trails; setting goals to reduce mode-specific fatalities; and holding states accountable for creating safe walking communities. 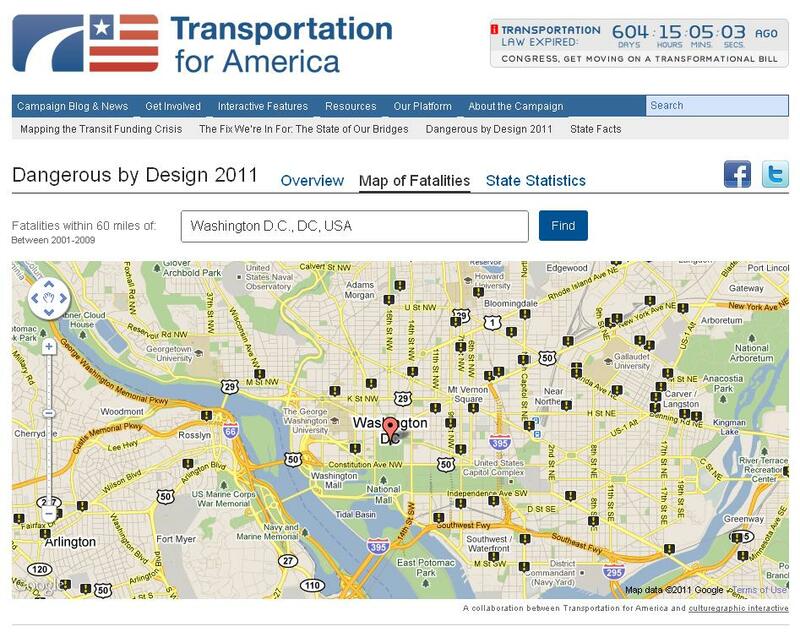 For a list of all metropolitan areas ranked by Pedestrian Danger Index, click here.